Pack of 10 incense sticks with wooden core. Hand rolled with precision and care in keeping with time honoured traditions of incense making. 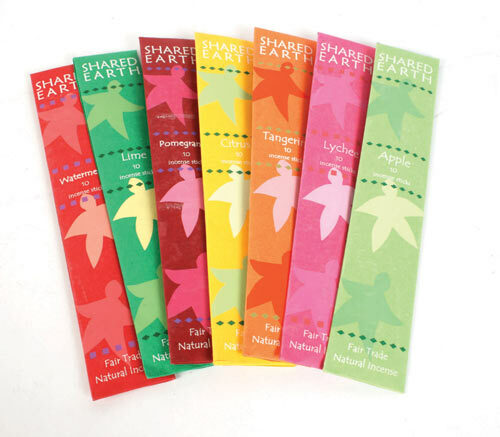 Our incense is handmade from natural oils, aromatic roots, herbs and flowers. The packaging is recycled paper which has been dyed and screen-printed by hand.